A training session at Aroma Fresh Coffee covers all aspects of espresso extraction, milk texturing, cleaning and adjusting grinders and cleaning and maintaining coffee machines. There are no shortcuts to making the perfect espresso. That is why Aroma Fresh Coffee has set up a training room to train you in the art of coffee making. We aim to help make a coffee of the highest quality and understand what a good coffee is. 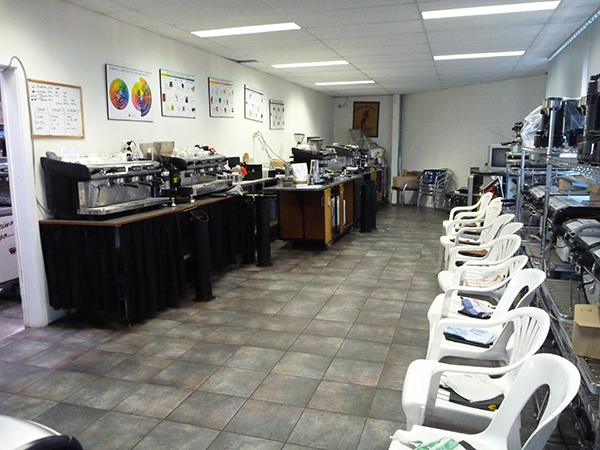 Aroma Fresh Coffee offers these training sessions to all of its commercial customers. These trainings offer great tips and skills that can be applied when making coffees from an expert barista. You will gain the theoretical and practical knowledge to achieve a consistently high standard in the art of making coffee. At the end of the training, all participants receive a certificate saying they have completed the barista course.